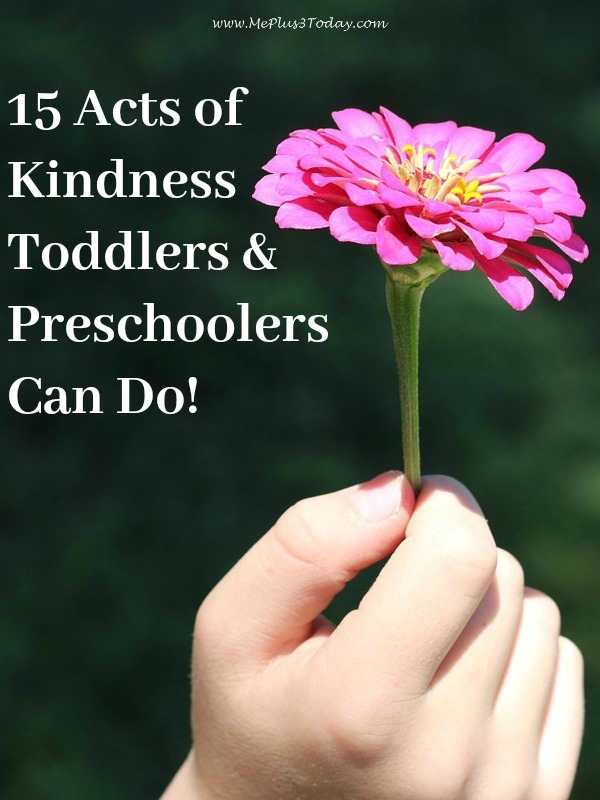 15 Acts of Kindness Toddlers & Preschoolers Can Do! One of my biggest passions is helping others through good deeds and acts of kindness. It is also my goal to teach the kids these values, which is why I have been getting them involved in acts of kindness since they were just toddlers. 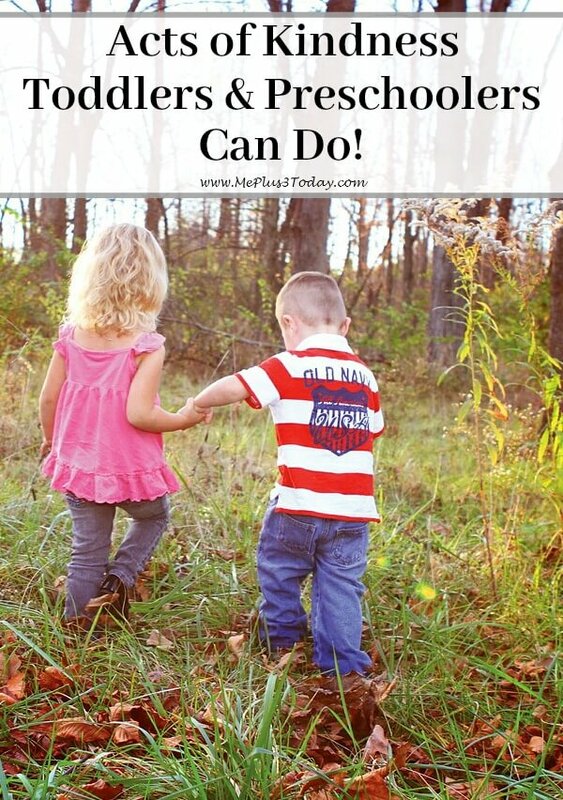 Yes, it is possible for even the youngest kids to make a difference with acts of kindness! Dislosure: For your convenience, this post contains affiliate links. 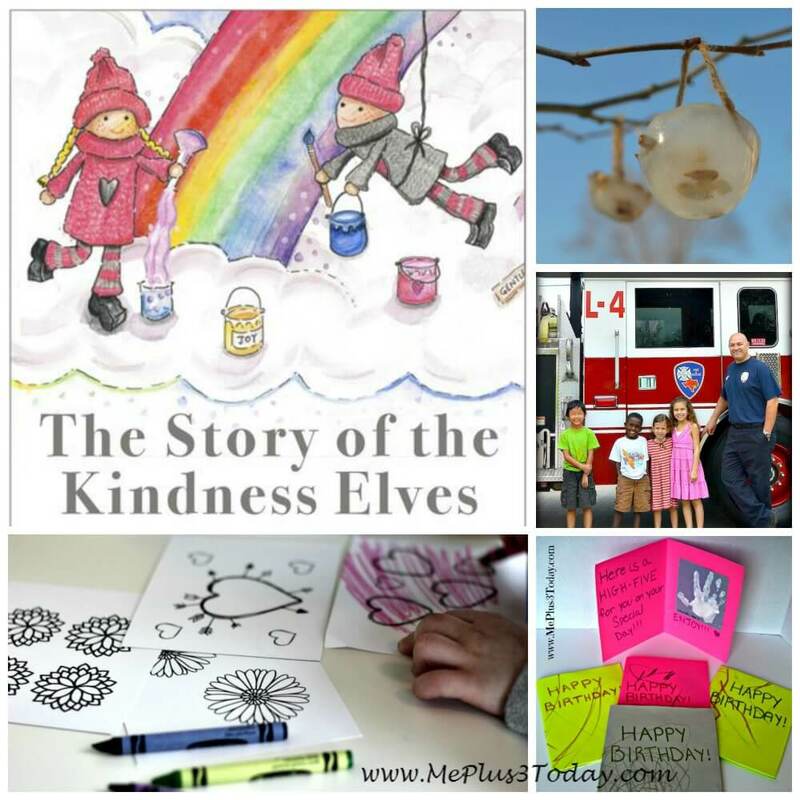 Because I’m always looking for new methods to teach the kids about kindness and compassion, I was super excited when I first learned about the Kindness Elves! If you follow me on Instagram or know me in real life, then you know that for the past 2 years we turned our Elf on the Shelf into a kindness elf. He arrives around Christmas time and gives the kids kindness reminders and acts of kindness to do each day. But this wasn’t an original idea of mine. I actually found it on The Imagination Tree blog. 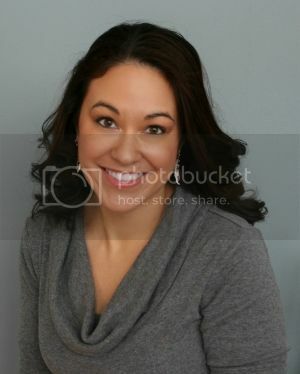 The author of the blog, Anna Ranson, is the creator of the Kindness Elves. 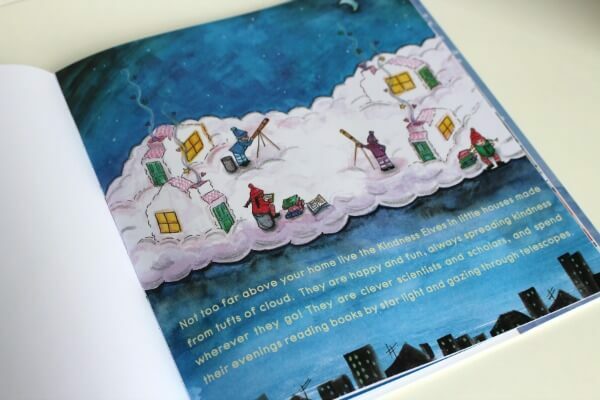 And as explained in Anna’s and co-author Benjamin Byrne’s recently published book, The Story of the Kindness Elves, the Kindness Elves are NOT just for the Christmas season! In fact, I had the pleasure of receiving a free copy of The Story of the Kindness Elves from Anna. Now I can share with you a little bit about this book that is sure to delight any kindness lover! In this hardcover book, it explains who the Kindness Elves are, where they live, and what they do. 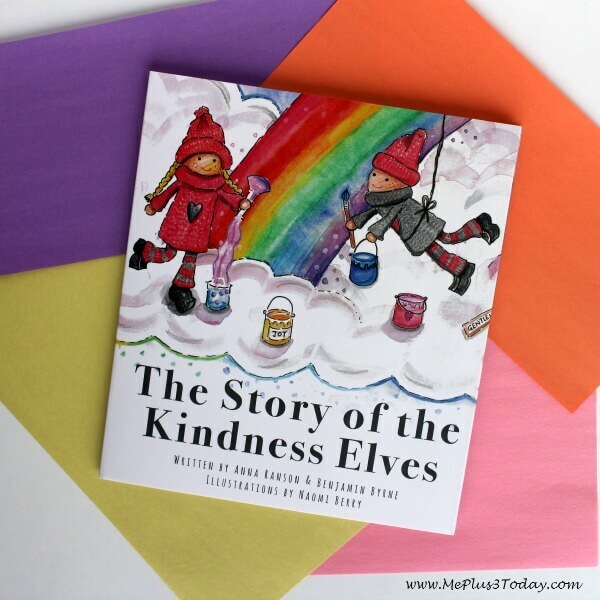 Not only does The Story of the Kindness Elves give a little background on the adorable little do-gooders, it also follows 2 special elves who have the incredible idea of getting children involved in spreading kindness. The story seamlessly ties in a few examples of how even the youngest kids, like toddlers and preschoolers, can get involved with acts of kindness in real life! After reading this book a few times with the kids, they have been looking forward to doing even more acts of kindness. They hope the Kindness Elves will notice what they have been doing and come visit them! And soon enough, they will! My plan is to purchase this adorable set of Kindness Elves to visit our family throughout the year. 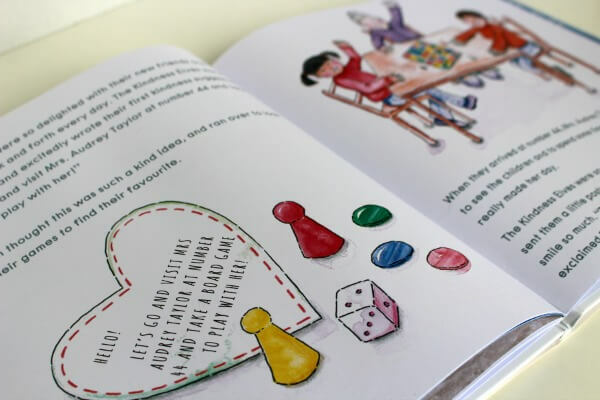 I personally think The Story of the Kindness Elves is a great book to make doing acts of kindness more tangible for young kids, especially toddlers and preschoolers. It also makes it easier for parents to encourage kindness and compassion, which will hopefully continue to be values the children uphold as they grow older. It really is never too early to start teaching kindness to kids! So, after reading The Story of the Kindness Elves to your kids, you might be looking for acts of kindness that toddlers and preschoolers can do. To help you out, I’ve compiled this big list of ideas from my blog and other amazing bloggers for you to access right here! I hope this inspires you to get out there and do some acts of kindness with your toddlers and preschoolers today! If you enjoy spreading kindness, please share this post! Tagged Acts of Kindness, Preschoolers, Toddlers. Bookmark the permalink.